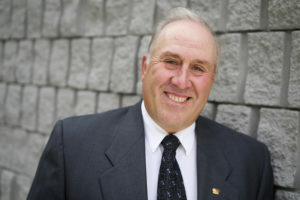 Rejean Pommainville serves on the Ontario Federation of Agriculture (OFA) Board of Directors as the Zone 14 Director representing the counties of Stormont, Glengarry, Prescott and Russell. He stepped into the role following the 2012 Annual General Meeting. Pommainville previously held the position of Regional Director for 15 years with the original OFA Board prior to its restructuring in 2007. He was also a member of the Policy Advisory Council from 2009-2012. Pommainville began his journey in the agriculture industry as a dairy farmer in 1975 before converting into a cash crop farmer in 2010. He has been a member of the OFA since 1976. He served on the Russell County Federation of Agriculture executive from 1982-83 before being appointed President in 1984. Pommainville held the title of President from 1984-88 and again from 1993-96. His involvement and achievements in various agricultural organizations also extends to the Farm Safety Association, OFA Agricultural Land-Use and Farm Practices Committee, Bill 42 OFA Steering Committee, Farm Practices Protection Board, Eastern Valley Soil and Crop Association where he held the position of President in 2008 & 2009 and the Russell County Soil and Crop Association where he has served as Director, Vice-President and elected President since 2008. Other achievements include being the founding member of the Hay Producer’s Association in Russell County. In 1993, Pommainville received a prestigious Commemorative Medal for the 125th anniversary of the Confederation of Canada. His dedication and significant contributions to the agricultural industry has earned him several awards over the years for outstanding volunteer service.